Aiden Byrne – Fancy a Forest?? Forest Gin is an exceptional, award winning spirit which is distilled in small batches at a distillery in the glorious Macclesfield Forest. A family company, Lindsay & Karl Bond are the husband & wife team in charge of the still, bottling, management, sales & shipping. Harriet Bond (aged 8) is the boss, leading all foraging missions and is an expert in knowing the best spots for juicy bilberries & ripe raspberries. In 2016, Forest Gin was awarded an unprecedented two separate Double-Gold Medals at the San Francisco World Spirit Awards. 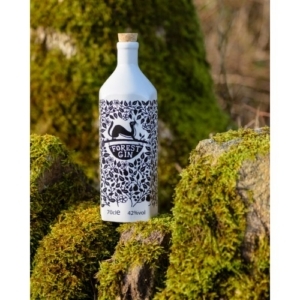 These awards are the highest accolade within the spirits industry and Forest Gin is now the only Gin to have been awarded this and places the Gin amongst the World’s very finest spirits. Why not come and sample one for yourself with a Fentiman’s Tonic and unique garnish of Rosemary and Blackberries…? Aiden Byrne Great British Food is a gastro pub in Lymm, Cheshire, owned and run by chef Aiden and Sarah Byrne.